There are four seasons in the States: Winter, Spring, Fall, and Summer. 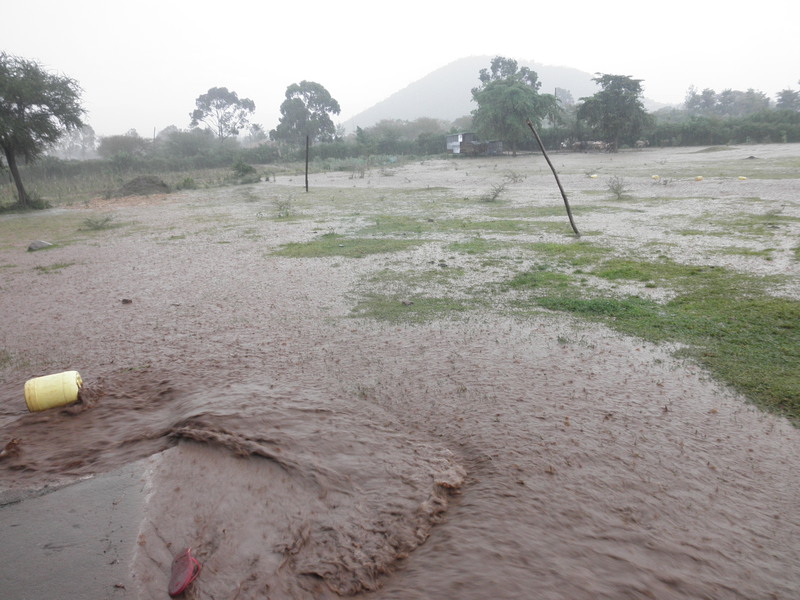 The short rainy season has arrived! 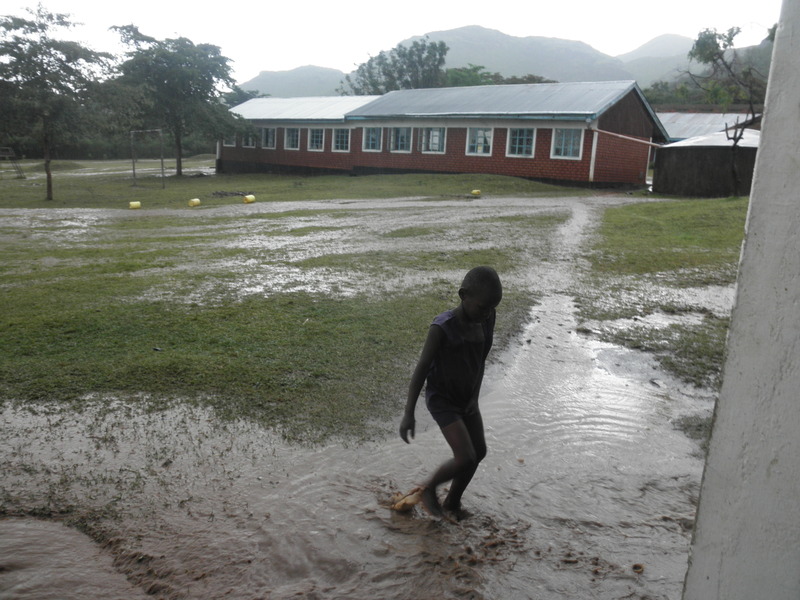 Kids were so excited because rain means maize and not having to walk to a water pump to haul water back to the school. It was so much fun watching them having fun in the rain yesterday, they were so laid back and relaxed. It was almost like kids in Kansas on a snowy day! Below are some pictures and videos that a Class 4 student took…enjoy! 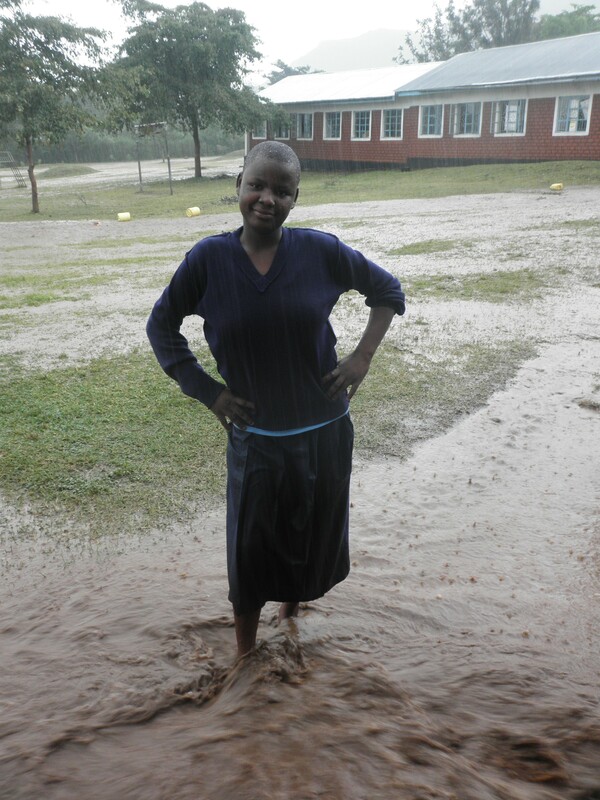 In the videos, the girls are mostly talking about how happy they are that it’s raining, they don’t have to go to the water pump, maize will grow, children shouldn’t play in the rain, and thanking God for the rain. I’ve been busy with a few visitors recently which has been nice! October 3rd-8th: Hope, a PCV who served in Kenya came to stay with me. She’s working on completing her PhD in Linguistics and wanted to interview a deaf teacher at my school to learn more about the linguistics of KSL. It was interesting to watch! October 4th: The Peace Corps director for Africa visited my school. It was so much fun to “show off” my school! He had a lot of great questions about how deaf students at my school start school late, how they communicate with people in their villages, how they learn, etc. He then offered to drop me off in my market town if I could find a ride back. It was so nice being able to ride in a private vehicle to my market town! It was so much fun catching up with the KSL interpreter who came as well (she interpreted for my training last year). I had a delicious lunch with both of them. Good day! October 9th-current: A man from British has been visiting our school. I guess his organization sponsors our school and sponsors some of the students as well. I am not sure how long he will be hanging out in the area. There was a country-wide teachers’ strike for 3 weeks and it took another 2 weeks for all the students to return to school. We have quite a few new students this term, none know sign language and they have to be so confused. I can’t imagine being dropped off at a boarding school, not knowing why, and not being able to communicate with anyone. I feel like 3rd term has finally started! 3rd term is only 9 weeks long but it was extended by 3 weeks to make up the first 3 weeks missed due to the strike. The Class 8 standard exams (that decides if and which secondary school they get into) were also extended. I have a good feeling about this term!